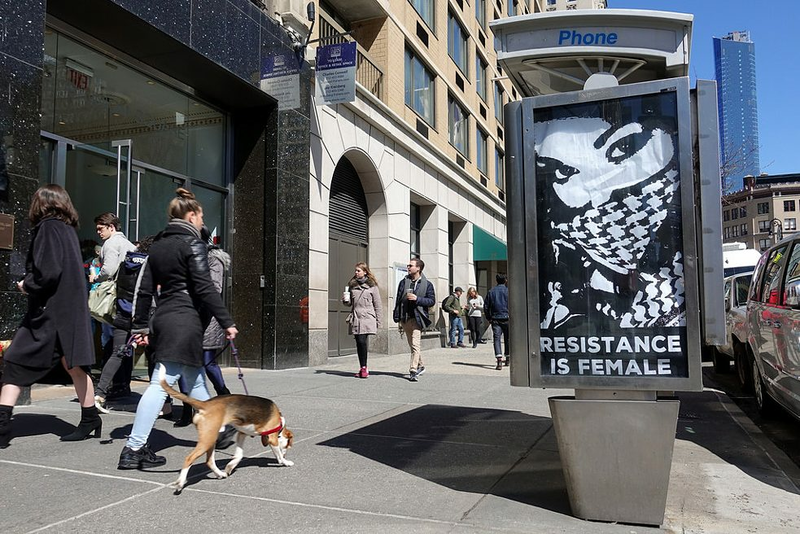 "The Resistance is Female idea was born after the Women's March in DC," says Street Artist Abe Lincoln Jr, one of the participating artists and one of the few men in the collective. 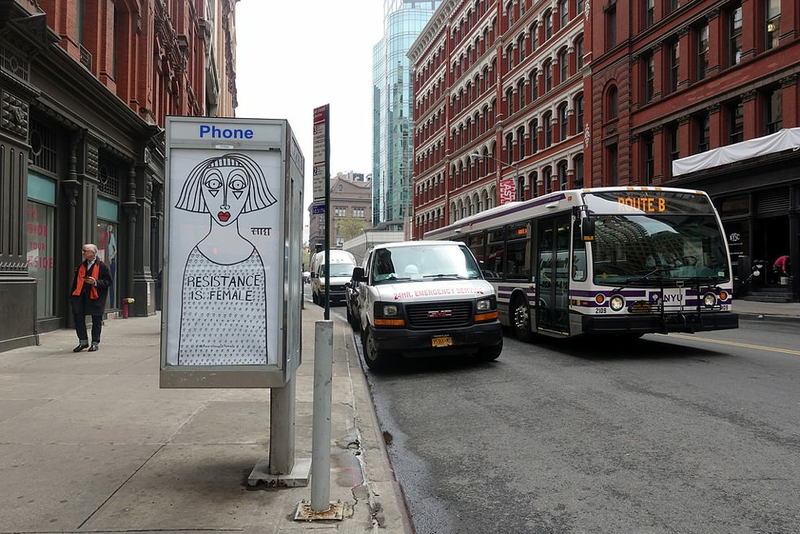 Abe, a well-known name in the New York street art scene, says that not all artists typically come from street art, but from very different areas, but now also use the streets to spread their visual messages. On January 21, 2017, hundreds of thousands of women in marches around the world took to the streets to protest against Donald Trump's policies. 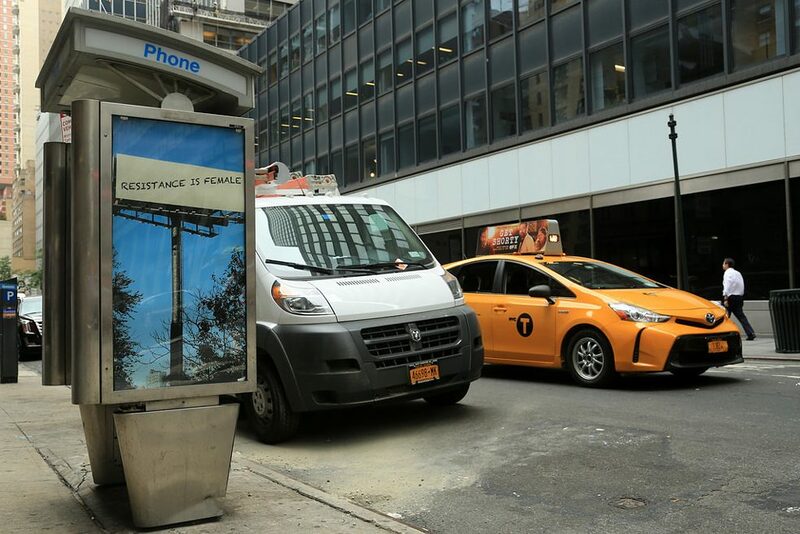 Under the name Resistance, women (and men) have engaged in ongoing marching campaigns, flooding of telephone lines (for example the offices of representatives) and other partly artistic actions in protest against the agenda of the US president. 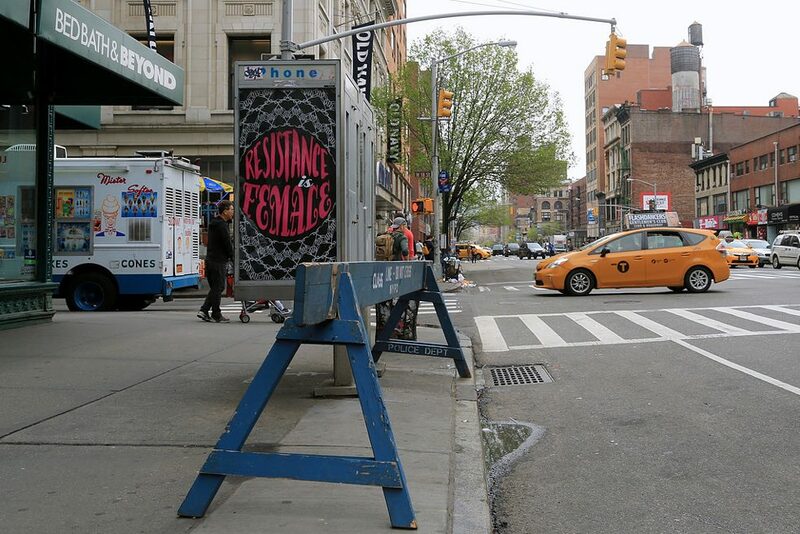 Especially in the city of New York, the movement has made a name for itself, not least with art in public space. But sometimes it can get too much. Wouldn't it be great to be encouraged to continue, for example by a sticker or a poster? 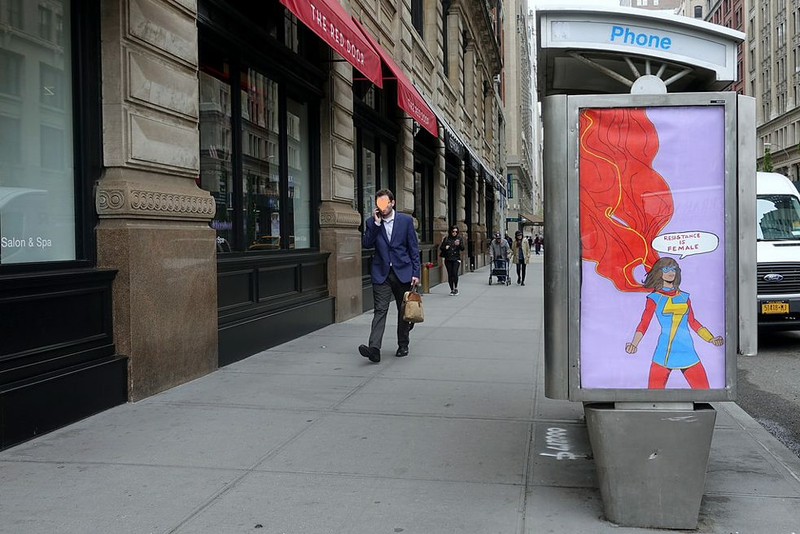 That's where Resistance is Female comes in: "a new series of ad busting with artists and their allies. Similar to #metoo, it's about showing other activists that they're not alone in their anger. "We're pulling in the same direction," the various different posters, paintings, and stickers seem to say. 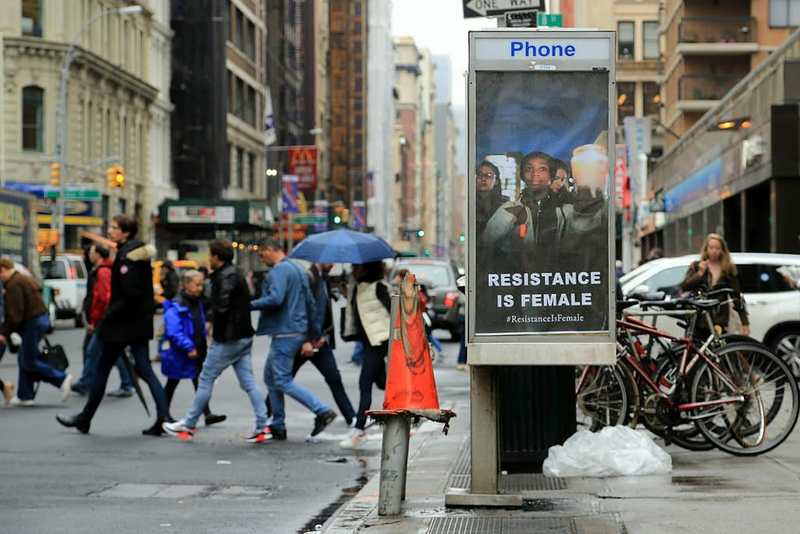 The resistance is (also) female.